Carrier is supplying bespoke high-performance, high-efficiency chillers for London’s Elizabeth Line project to meet its cooling needs and the stringent fire safety materials standards required for use underground. Fifteen customized Carrier AquaSnap air-cooled liquid chillers with Greenspeed Intelligence will provide resilient, reliable cooling for new Elizabeth Line stations at Tottenham Court Road, Paddington, Woolwich and Farringdon. Carrier’s UK team worked closely with its chiller research and development centre in Montluel, France, to develop a solution that met the strict fire prevention requirements for the project, due to its underground location. The bespoke chillers are equipped with zero halogen, low-smoke insulation and cables, and finished with specialist paint, all formulated to emit very limited smoke and/or fumes when exposed to heat or flame. 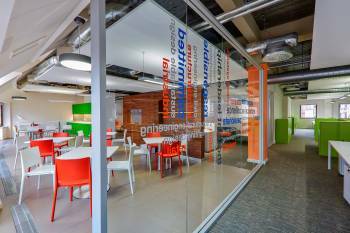 The changes to the standard factory specification required detailed research on alternative components and their application. For example, the requirement for zero halogen, low-smoke cables required a completely new chiller wiring loom. 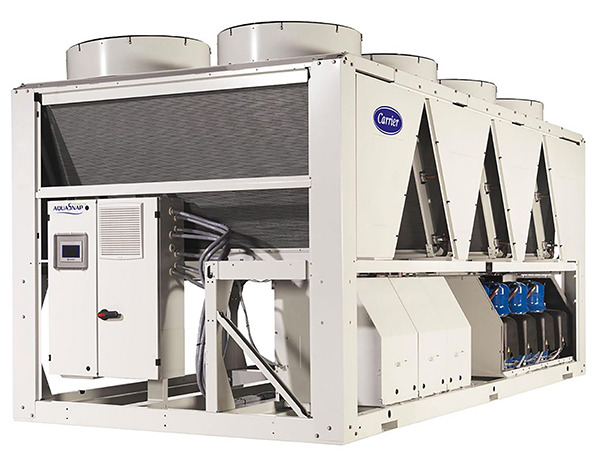 Carrier’s AquaSnap 30RB chiller is based on highly-reliable rotary scroll compressors running on refrigerant R-410A, a quiet-running AeroAcoustic fan system, and high-efficiency microchannel condenser coil technology. In addition to the importance of fire-safe materials for all equipment used underground, reliability is also a key issue. In this regard, the chillers are built on a heavy-gauge galvanized steel frame and come with a range of security grilles and hail guard options. Safety features include low ambient head pressure control and high short circuit current rating.